A delicious salad that's healthy and satisfying. The keys to a successful chopped salad: chop all the ingredients to approximately the same size; make sure your lettuce is not wet; then dress all the ingredients together before serving so each forkful is perfectly seasoned! 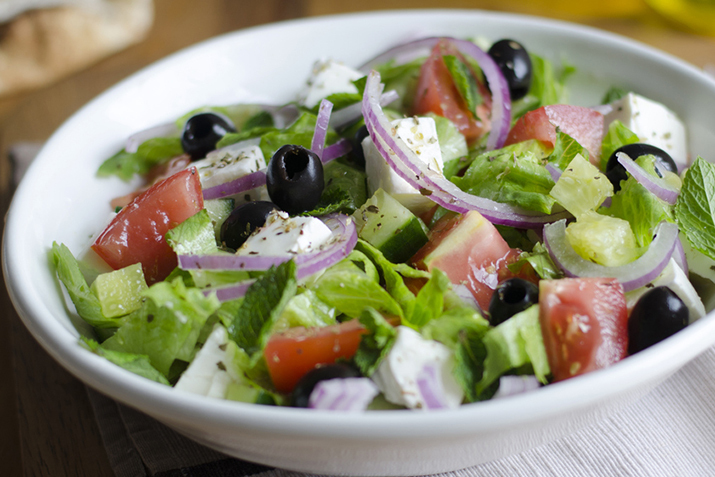 In a large salad bowl, gently toss the prepared romaine, cucumber, bell pepper, black olives, tomato, red onion, and cheese with the dressing. Taste for salt and pepper, then garnish as you wish. Serve this salad with fresh, crusty artisan bread. Add your favorite ingredients to make the salad your own, like hardboiled egg, salami, cooked chicken or additional fresh vegetables.